Top page > List of companies > Genius Inc.
【Working at a company which can define the next generation by its own 】<br>There are many talented creators in Japan. Their creations such as comics, animations etc. are praised as a unique “Japanese culture” around the world.<br>However, the current environment for making such creations are not an ideal environment at all. We want to change this situation to make the environment friendlier to the creators, and for these people to receive a better treatment. This is the starting point of establishing the company.<br>Our company is full of talented creators (genius). And we have been putting out many creative works produced by our own. We mainly focus on producing App Drama. It is a production combines motion pictures, music and with a storyline that is being aired on smartphones. <br>“App Drama” is a novel type of smartphone app which provides its contents in over 10 different languages. We have reached over 1000,0000 DL in sales! We hope to make App Drama as a popular form of entertainment as comics and animations.<br><br>■ Female approach love stories (productions)<br>■ Suspense story<br>■ Human dramas etc. <br>We have been working with entertainment enterprises to approach variety of businesses. 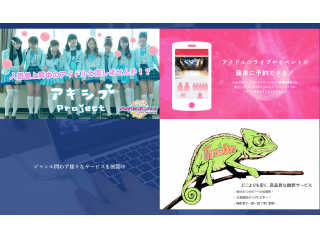 We had released a life idol information portal App called “GLIVE” recently. 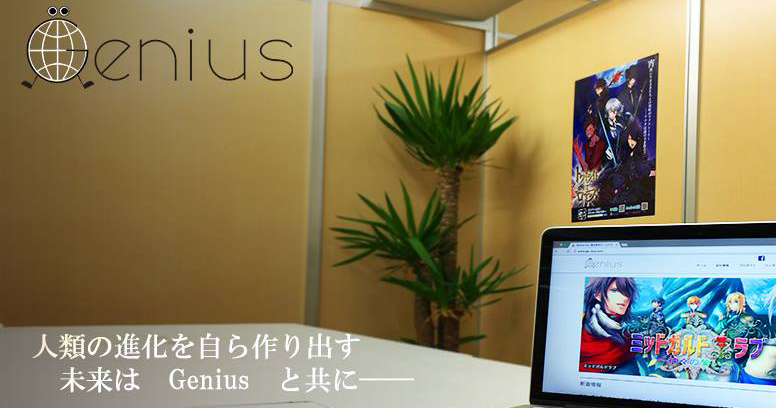 Genius Inc. is going to be more and more committed to the life idol business and make the industry more vibrate.